Kyle Edmund says Andy Murray, who is set to retire, is "Britain's greatest tennis player ever ... and maybe Britain's best sportsman ever." 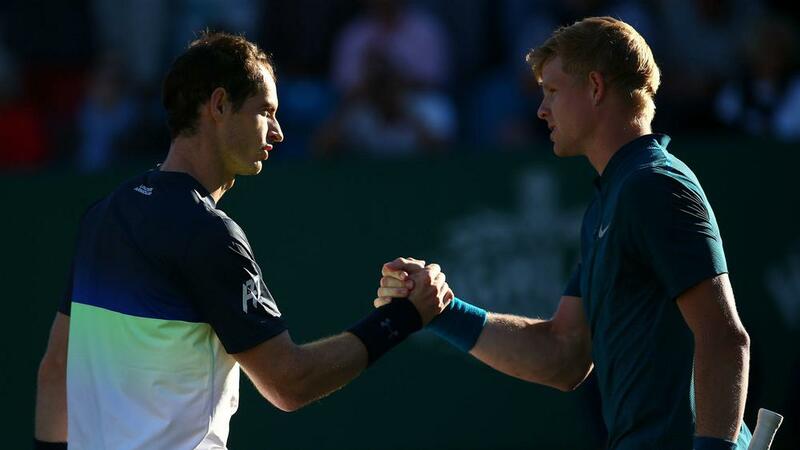 Kyle Edmund has described Andy Murray as "maybe Britain's best sportsman ever" as the three-time grand slam champion nears an injury-enforced retirement from tennis. Murray stated a desire to play on until Wimbledon, an event he has won on two occasions, but in any case the former world number one's glittering career appears near to its end. In a Twitter post directed to Murray following news of the 31-year-old's impending retirement, Edmund wrote: "Nobody has done more for British tennis than you and it looks like nobody will for many years to come." "You have been an inspiration, friend and role model to me from the get go and I thank you for everything. Hope to see you out there for as long as possible." Murray's triumph at the 2012 US Open ended a 76-year wait for a British men's singles champion in a grand slam. "In many ways I’ve been fortunate to compete against the guys that I have, some of the best players of all time. The following year saw him become his country's first male Wimbledon winner since 1936, while he was also almost single-handedly responsible for Great Britain's 2015 Davis Cup triumph and claimed two Olympic gold medals before reaching the top of the ATP rankings at the end of the 2016 season. "He's been my biggest role model out of any tennis player," Edmund added in a news conference. "He's Britain's greatest tennis player ever and you could say maybe Britain's best sportsman ever." "It's not nice to read that he's going to be retiring at some point, but at the same time it's nice to reflect on his career and see what he has achieved, which is obviously amazing."